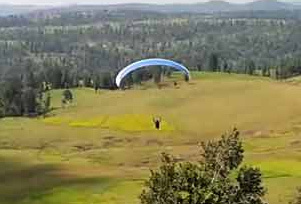 Tourists who are craving for some adventure can be a part of the Paragliding Festival, organized in between the months of December and January at the Satpura range. The 26-day long Paragliding festival is set up by the Gujarat tourism along with many other private organizations. Every year the paragliding festival receives more than 5000 entries from far-flung places. Training sessions are also conducted for the novices by the expert pilots. Both adults and kids can take part in the paragliding activity. The sole reason of celebrating the festival is to promote Satpura as a paragliding destination. Apart from paragliding, tourists can also indulge in numerous other activities like go-karting, bike riding, parasailing, zorbing ball and jumping Mickey Mouse.